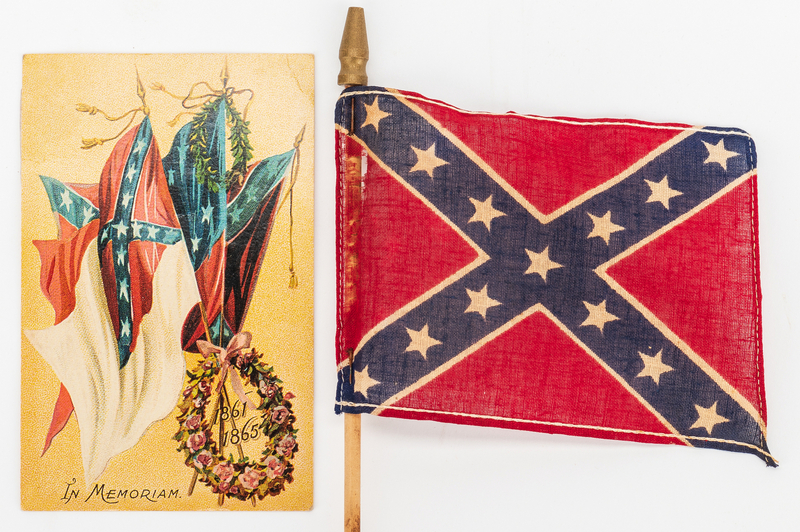 Group of six (6) Confederate items. 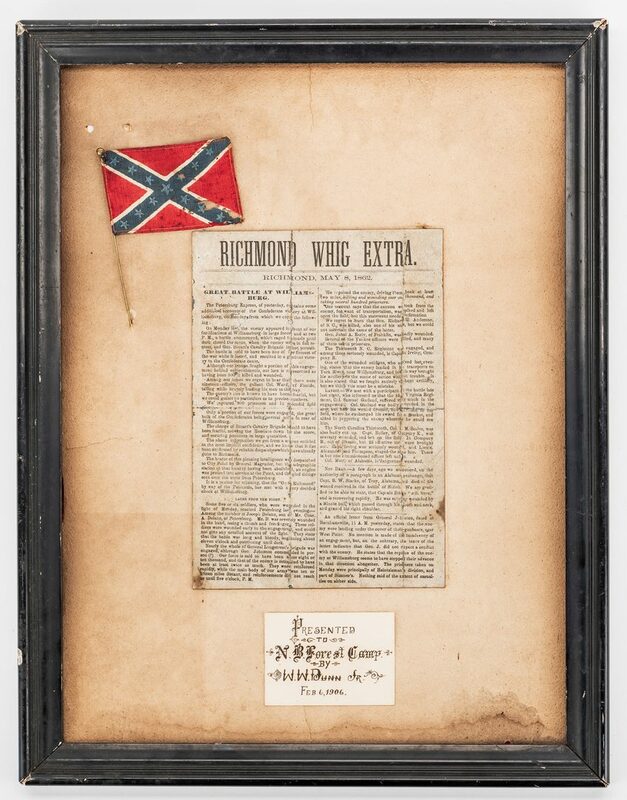 1st item: Richmond Whig Extra, dated May 8, 1862 with two column article about the Battle of Williamsburg, fought on May 5, 1862. The article begins by stating that the battle was a "Confederate victory" and continues by recounting the movements of General James Ewell Brown "Jeb" Stuart's Cavalry Brigade with information about casualty numbers, etc., stating "…our loss is represented as having been 500 in killed and wounded…The enemy's loss is known to have been fearful, but we could gather no particulars as to precise numbers. We captured 900 prisoners and 12 splendid places". 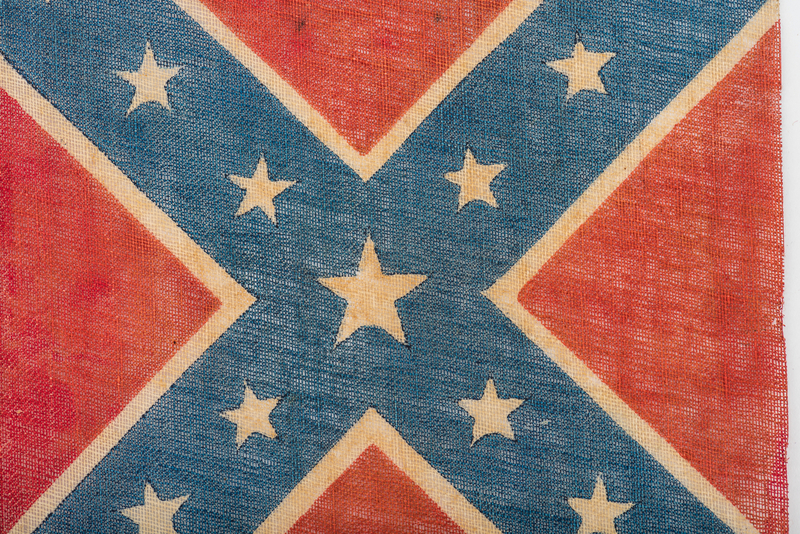 The article continues by detailing the events that occurred later during the battle, including remarks about Generals James Longstreet and Joseph Eggleston Johnston, the Thirteenth North Carolina Regiment, and the Thirteenth Virginia Regiment with information about the dead and wounded. 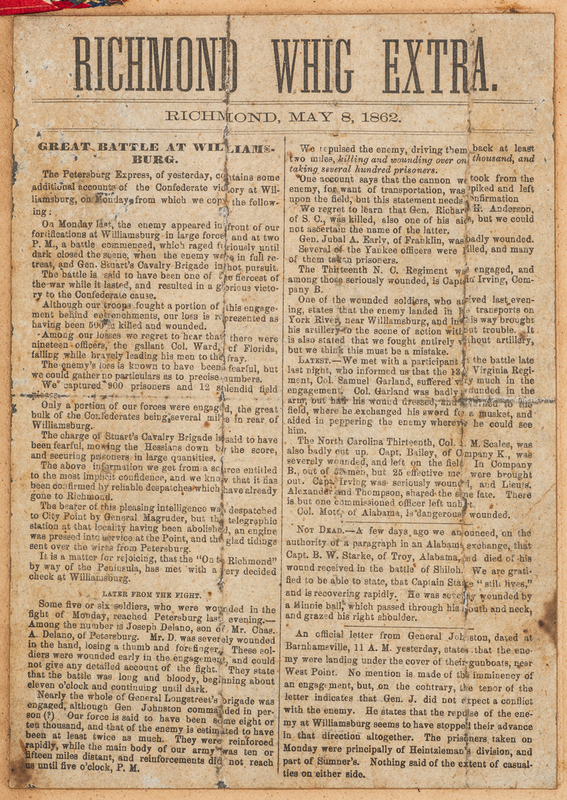 The article is concluded with mention of a letter from General Johnston, Barhamsville, VA paraphrasing that "the enemy were landing under the cover of their gunboats, near West point…He states that the repulse of the enemy at Williamsburg seems to have stopped their advance in that direction altogether. 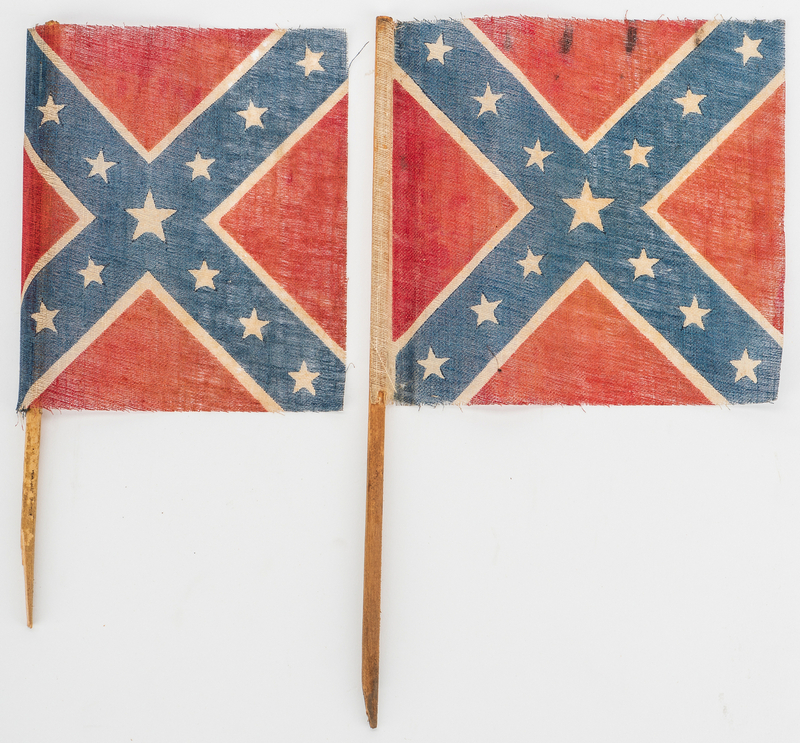 The prisoners taken on Monday were principally of Heintzleman's division, and part of Sumner's. Nothing said of the extent of casualties on either side". Newspaper mounted on card stock. 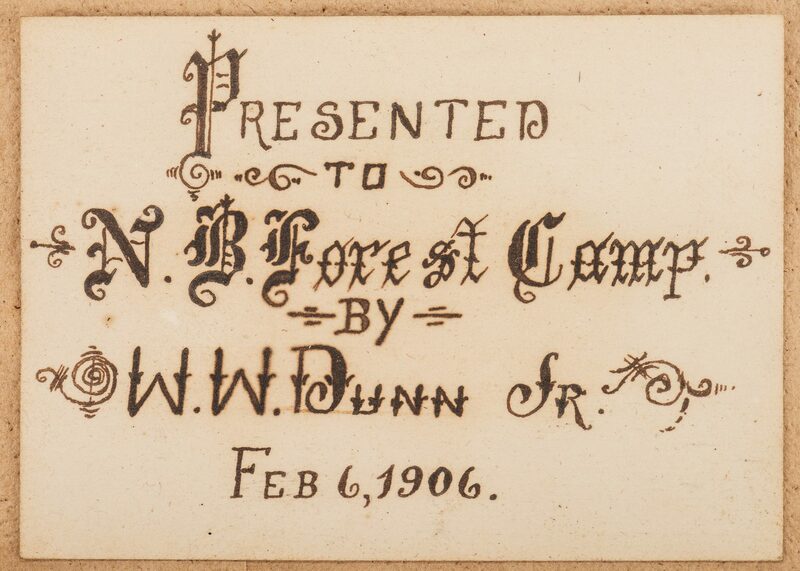 Card stock mounted to paper stock with hand written paper label reading "Presented to N. B. Forrest Camp by W. W. Dunn Sr. Feb 6, 1906". 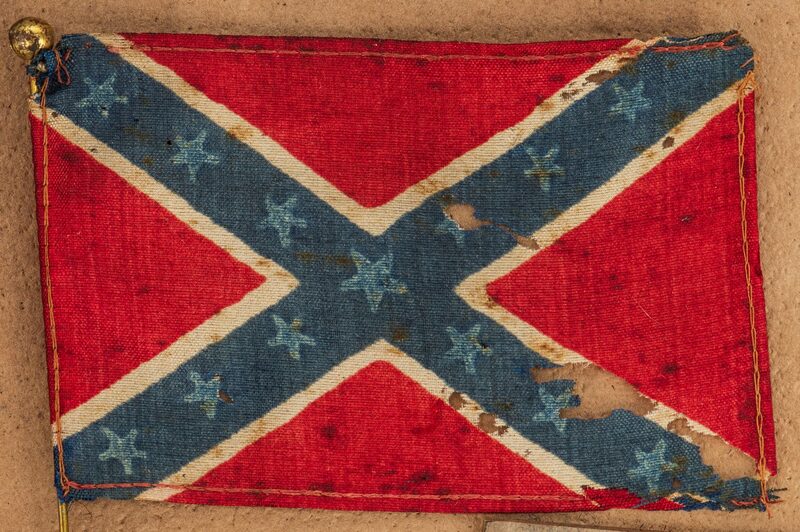 8 1/2" H x 6" W. 2nd-5th items: Four (4) Confederate reunion flags, printed on linen. 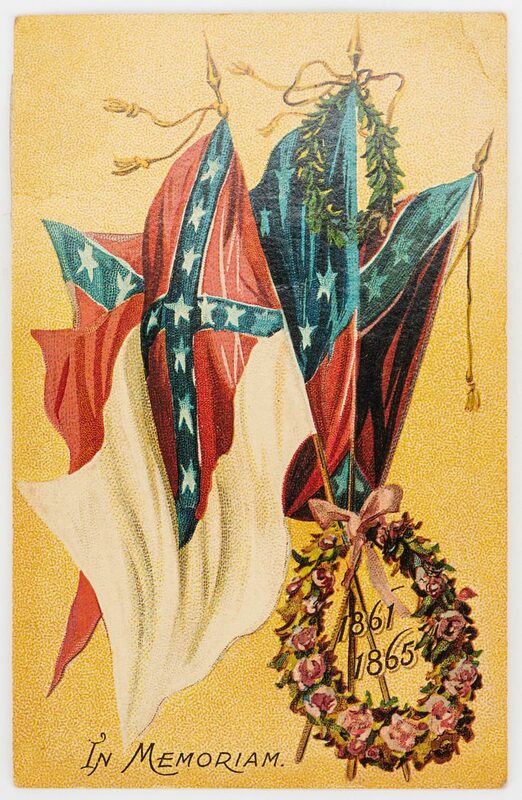 Flags range in size from 5 1/4" H x 3 1/8" W to 10 3/4" H x 6 3/8" W. 6th item: Chromolithograph postcard featuring three Confederate flags behind a wreath of flowers with "1861/1865" inside the wreath and "In Memoriam" lower left. 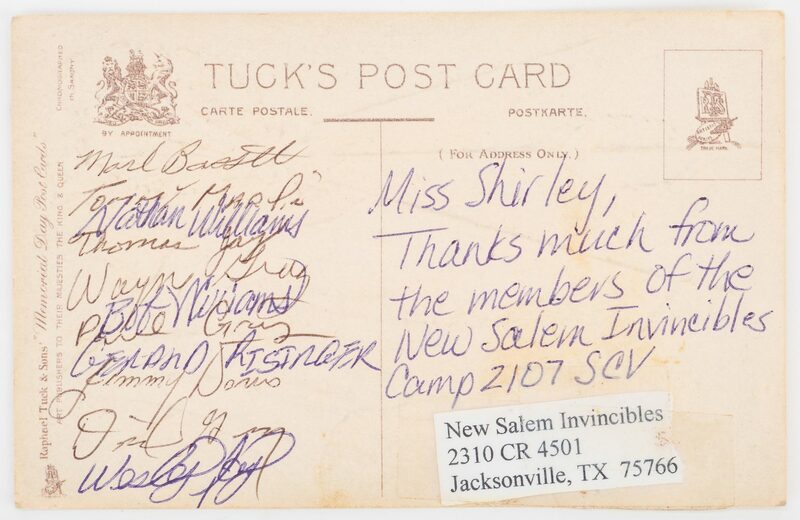 Inscribed by members of the New Salem Invincibles SCV camp 2107, en verso. 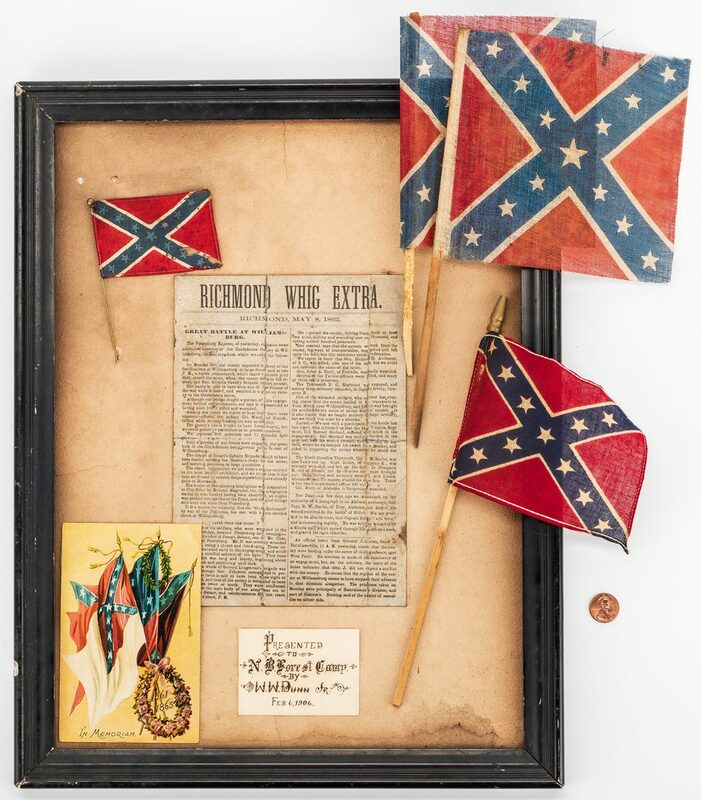 5 5/8" H x 3 5/8" W. Includes a black painted wooden frame – 17 3/4" H x 13 3/4" W. Provenance: Private Ringgold, Georgia collection; among items purchased in the 1960's from the old location of the A. P. Stewart Chapter of the UDC (United Daughters of the Confederacy), formerly the Nathan Bedford Forrest UCV (United Confederate Veterans) home, St. Elmo, Chattanooga, TN. CONDITION: 1st item: Overall good condition with tears, areas of dampstaining, minute pinprick holes, to be expected from age. 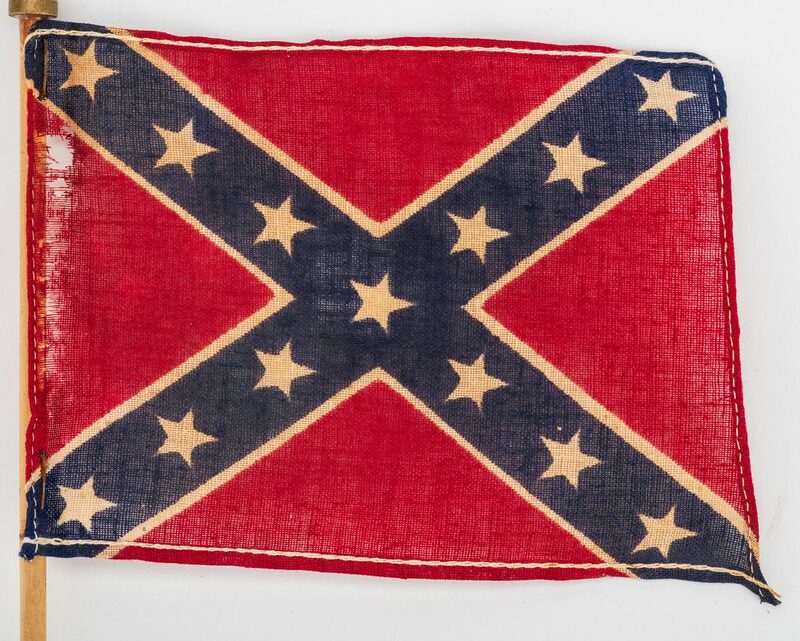 2nd-5th items: Overall good condition with stains, holes, largest 5/8", to be expected from age. 6th item: Overall good condition.